Symbian OS 是否有其他的行事曆軟體 - Symbian 軟硬體討論區 - PALMisLIFE 討論區 - Powered by Discuz! 最近從 Palm 陣營轉至 Nokia E70, 發覺Symbian內建行事曆比起Palm起來,有那麼一點陽春. 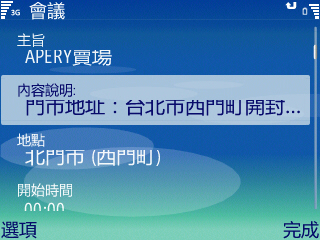 GMT+8, 2019-4-24 03:55 , Processed in 0.055983 second(s), 32 queries , Gzip On.